Checking the certification and accreditation of your intended surgeon, dentist and doctor should be one of your first steps when you undertake research on surgery abroad. With the NHS in Britain, the qualifications of our doctors and the hospital facilities are something we take for granted, but when journeying to another country it is important to thoroughly check these credentials. In most countries throughout the world there is a governing body that oversees qualifications, certification and accreditation. In the UK we have the General Medical Council that holds details of surgeons and dentists working in the UK, it also holds records of some surgeons and dentists working abroad. The GMC should be your first point of reference when checking qualifications. Not all countries abroad have the same standards of qualifications as doctors in the UK and the level of skills between surgeons in different countries is not standardised. If you are using a reputable medical service provider then most of this research will have been undertaken on your behalf. However, it would be wise to undertake your own research and ask a few questions regarding certification and accreditation. Ask your medical provider who the regulatory bodies are in the country that you are intending to use. Then check if the surgeons, clinics, and hospitals that you are going to use are listed with these agencies. The website of the medical service provider should list the qualifications of the surgeons that they promote; if they do not list any qualifications then find a provider that does. The amount of time spent in training before a surgeon, dentist, or doctor is qualified to practice will vary from country to country as will the memberships, certifications and qualifications they hold. In European countries such as Croatia a dentist should have studied for five years plus a further year of tutored practice before he or she can take the state dental exams. 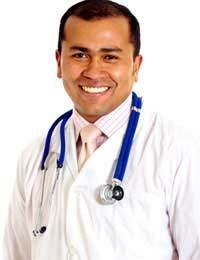 They will then hold the title of Doctor of Dental Medicine (DDM) or Doctor of Dental Surgery (DDS). If the dentist decides to specialise in a particular field of dentistry such as orthodontics then this will take another three to four years. Dentists in Croatia will be listed in the Croatian Dental Chamber, which is the professional association of dental medicine in Croatia. Training to be a cosmetic surgeon takes many years. In countries such as Turkey, surgeons need to graduate medical school and then sits exams in order to gain a residency at the Cosmetic Surgery Specialist Program. It takes around six years of study before students are qualified as a certified plastic surgeon. Surgeons in Turkey must be members of the Turkish Society of Plastic, Reconstructive & Aesthetic Surgery. Clinics and hospitals are governed by the Republic of Turkey Ministry of Health and the Turkish Medical Association. Another study intensive field of medicine is surgery, and surgical specialists undertake a great deal of study before they can become qualified. In Estonia a medical degree will require around six years of study, with a further five years required to specialise in fields such as orthopaedics. In Estonia regulatory bodies include the Ministry of Social Affairs and the Estonian Medical Association. These are just a few of the typical training times that surgeons, dentist and doctors are required to undertake before they can become qualified. You should also ask how long the surgeon has been practicing in his or her field. Governing associations and agencies are important in order to check certification and accreditation and there should be an agency or office in every country that can be checked. If you are undertaking your research and are finding it difficult to gain approval of the qualifications for any type of medical professional, be wary, or simply move to a medical provider who can easily supply this information.